Some people don’t use guidebooks and just follow the yellow arrows, which is perfectly fine. Personally, I love having a guidebook to read about places before visiting them. Because I walked only six stages of the Camino Portugués, I cut those particular sections out of the book to save space. Tip: If you are doing a longer Camino, you can cut out pages as you go and thus lighten your load. I had never used trekking poles until I started training for the Camino last year. A friend let me borrow her extra pair on this walk in the redwoods, and I was sold! These are collapsible so I was able to fit them diagonally in my wheeled luggage for the flight over. This brand is currently on Amazon for $45, but if you live near a Costco, you might find them for around $30. 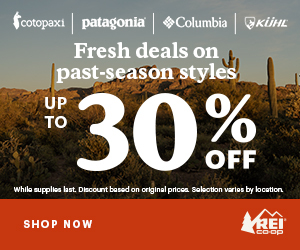 You could try other brands at REI if you don’t mind spending $100-$220. At the last minute, I decided to jettison my SmarTube and just bring my two fold-able Vapur bottles and a regular plastic water bottle for my vitamin packet drinks. There’s nothing wrong with the SmarTube; in fact, it’s pretty darn smart! But I didn’t feel like sucking on a tube attached to my pack, hence the last-minute change of heart. The amount of water my refillable bottles held was more than enough on my Camino Portugués. The Real Madrid one shown here is .5 liter, the fun size is .25 liter, and the plastic bottle was 1 liter, so 1.75 liters total. There were plenty of places to refill my bottles along the way, and I could pack them in side pockets of my backpack or attach them to my hip strap with the carabiner. Vapur makes better bottles now with flip-up lids, available on Amazon. I brought one of those thin, nylon string backpacks to use as a day pack. It can fit your lunch, extra water, clothing layers and other essential items. When it was full, I would either hook it to my backpack’s waist belt, or strap it to the bottom using a mini bungee cord. A sleeping bag would have been too hot in May, so I opted for a lightweight and compact sleeping bag liner. It was super soft and comfortable to crawl into at the end of the day and has an extra pocket at the top into which you can fold a pillow. Although this one is treated with an insect repellent, it doesn’t smell of any chemicals. The bedbug issues freaked me out, so I did some research and asked the advice of pilgrims on a Facebook group. Here’s the video of the quick question, the unboxing and the sniff test. There are as many different opinions on bedbugs as there are pilgrims, so I went with my intuition and used it. Still, one can never be too safe. Before spreading out my liner, I carefully inspected the mattress for bedbugs and didn’t see any in the seven municipal albergues I slept at. But there was a girl one bunk over and down who did get bitten, in the albergue in Rubiães. That was one of the reasons I was glad to have this layer of protection with me. Another one was that it keeps other insects at bay, and as I usually fall prey to mosquitos, I found the bag to be worth its weight in gold. This was extremely handy because in albergue bathrooms there are no paper towels to dry your hands with. The washcloth comes with a carrying pouch with carabiner clip, so you can attach it to something outside your pack for easy access (useful for public bathrooms with weak air dryers too). There’s a handy loop on a corner so you can hang it your bunk bed or backpack to air dry. These were great to keep the inside of my backpack tidy. The bright orange color was easy to spot in the dark. The best part is, they don’t make a loud crinkling sound. Yes, it’s true, there is a lot of snoring going on in albergues. Your best approach is to use ear plugs at night. I like the regular bullet shaped soft ones you can get anywhere. An eye mask is also helpful to block out distractions of the early risers. I brought a two-ounce travel-size that served as my face and body wash and my laundry detergent. It smells nice, lathers well, and is environment friendly. I even used it as a shampoo a few times to switch things up like I do at home. Everything was coming up roses! After nine days of using this, I still had some left in the bottle, so a little goes a long way. I also like the almond scent, and will bring that one on my next Camino. I only brought the basic essentials in travel size: toothbrush, Tom’s toothpaste, sunscreen, face serum, deodorant, and trial packets of shampoo, conditioner, and body lotion. I used a contact lens case to hold some BB-cream on one side and a mashup of lipstick and lip balm on the other. I carried this all in a lightweight nylon cosmetic pouch with a clip to hang it on bathroom hooks. I brought a small packet of Mycitracin topical, small scissors, nail clippers, alcohol wipes, and ibuprofen. I also took a few blister bandages (fortunately, I didn’t need to use them) and two packets of Avon Skin So Soft Bug Guard, but I didn’t need those either, as there were hardly any mosquitos on the Camino Portugués in May. At the last minute I packed two invaluable items that were in my medicine cabinet for many years. 1) A tube of S.P.A. (spot penetrating action) Cream by Ben Gay, which I rubbed on my calves and feet after walking all day. (See end of this post for my daily ritual with legs up a wall.) Unfortunately this product has been discontinued and it’s hard to find a topical analgesic in America without a prescription. I hear from John Twort, the Ensuite Pilgrim, that there’s a great equivalent you can buy in farmacias in Spain called Voltarol Gel and Ice Spray. I’m going to try some out next year. 2) A small jar of Vaseline. A friend who walked the Camino Portugués recommended Vaseline on feet to prevent blisters. I started by applying a small amount on the first day. I got no blisters but noticed a few callouses forming on the balls of my feet. The next day I slathered on a thicker layer of Vaseline and the callouses disappeared! My feet were soft and smooth and there was no greasy residue. This is my tried and true blister prevention strategy, along with good fitting shoes and merino wool socks (see tip below socks on this post). You can find small jars of Vaseline at drugstores or Amazon. I take a variety of supplements at home, so I brought a small ziplock bag of them with me. They are all different colors, sizes and shapes, so I could easily transfer one of each pill to a small vitamin case each day. Here’s what I like to take on a daily basis: Multivitamin, Hyaluronic Acid, Evening Primrose Oil, Milk Thistle, Omega, Vitamin D, Gelatin, Biotin, Coconut Oil, and Earth’s Bounty Oxy-Cleanse. It probably sounds like a lot but when everything is in a baggie it’s not bulky, and the stash shrinks a little each day. Plus, you don’t always get a full balanced diet on the Camino. I ate food that I usually don’t eat at home (pilgrim meals include lots of french fries and bread! ), so the supplements helped me stay healthy during my three weeks in Europe. Other options you might consider are individual vitamin packs. Before bed I’d mix a packet of Natural Calm Magnesium with water. Magnesium is great for muscle fatigue and it helped me sleep like a baby, along with my eye mask and ear plugs mentioned above. I bought a small pocket knife with a cork sheath on key ring in Portugal. It was useful for cutting fruit and cheese for picnicking. There are so many uses for these! I brought three and used them to keep my guidebook pages dry, storing leftovers, and stowing my iPad (see below). iPhone – I wouldn’t leave home without it! I used it to keep in touch with family and friends, take photos and track my kilometers. I used it to navigate through cities as well. iPad – I brought this mainly to AirDrop my photos from my iphone because it has more storage space. However, I left the protective case with my luggage at the Lisbon hotel because it was too bulky and heavy. I have a tempered glass screen protector on it and used my Buff and a ziplock bag to conceal it while charging. Yet another use for the amazing Buff headband! Apple charge cable and backup USB battery pack. Just don’t leave these plugged into a charging bank at the albergue like I did! 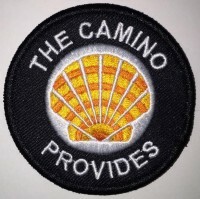 If that happens, the Camino provides, in the form of China shops which you can replace electronic gear for cheap! I even went into a mobile store first to check prices of an iPhone cable and they wanted 25 €. I got mine for 8 € and it has a double USB port so I could charge both devices at once! The China shop in Caldas de Reis is enormous and stocked from floor to ceiling with the usual cheap crap and the occasional useful item. As for the packing list, that’s all she wrote! 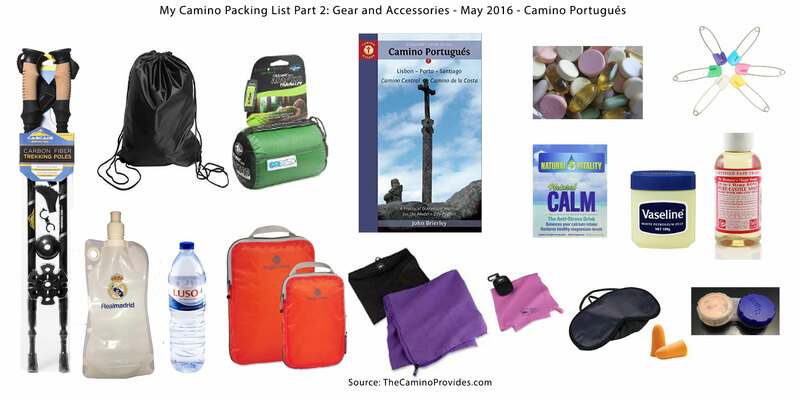 See full packing list and reviews of the apparel I wore and backpack I used on my Camino. Just make sure to test all your clothing and gear before your Camino. Everyone has their own way of packing and you might bring less or more. Trust your intuition and know that if you need something that you didn’t pack, the Camino will provide. Up next, my Camino Portugués stages. It’s a water bottle! I’m neutral about the teams. We have family on the FCB side too so when I’m in Spain hook them all up. I got this bottle at Bernabeu stadium in 2014. Real Madrid more or less represents facism/Franco. Yes, 40 years later. So I am strongly against Real Madrid. I love all your posts on packing and it’s really helpful to see the photos of your clothing as it reinforces the notion that we really shouldn’t take too many items. I’ve been guilty of taking a heavy pack in the past on holidays so I’m finally listening to the sage advice of people who have already walked the way. Thanks so much! I’ve been guilty of overpacking on other types of trips, but the Camino shows you that you really can leave with less. And it’s easier to get out the door with less stuff! I’ll be traveling lighter because of the things I learned in this Camino.